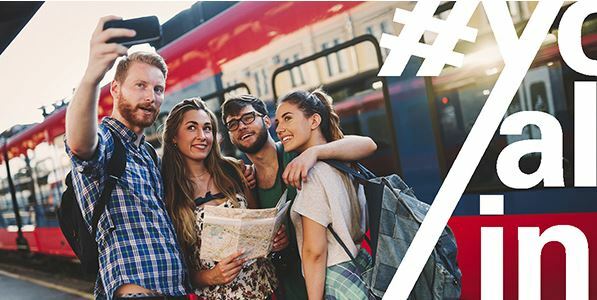 Youth Alpine Interrail enables 100 selected young people to travel sustainably across the Alps by means of public transport for 50 euros for one month in the summer of 2018. The goal is to show young people the adventurousness, the comfort, the practicality and the fun of holidays by train and the beauty of the alpine countries. By slowing down the journey and travelling by train there is more time to get to know the places and people along the route.